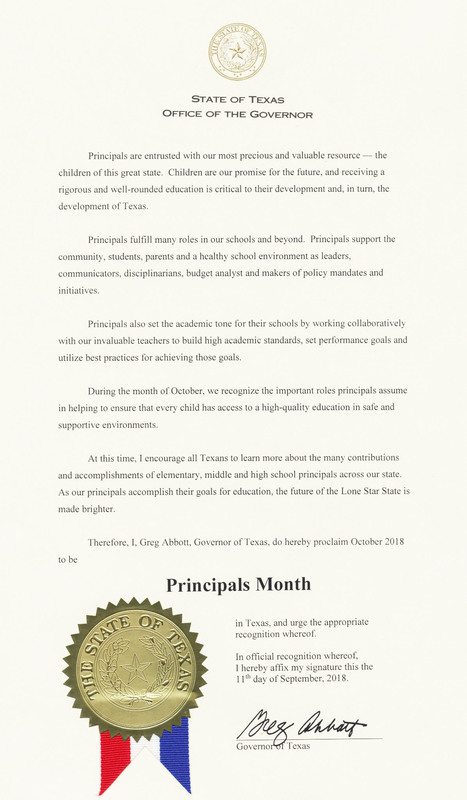 National Principals Month is officially recognized throughout the country with national and state resolutions supporting the event, as well as acknowledgements from U.S. senators and representatives and other government officials. TASSP strongly encourages schools and communities to come together to honor their school leaders during October and to be reminded that principals appreciate “thank you” messages throughout the year. A personal commitment of time and professional leadership to the school community they serve are critical attributes of school success. TASSP sends a Texas-sized thank you to every principal for your daily leadership in fostering a positive climate and culture for your students and staff. As you plan your National Principals Month activities, be sure to check out resources for celebrating and share what you’re doing by posting to social media with #ThankAPrincipal.